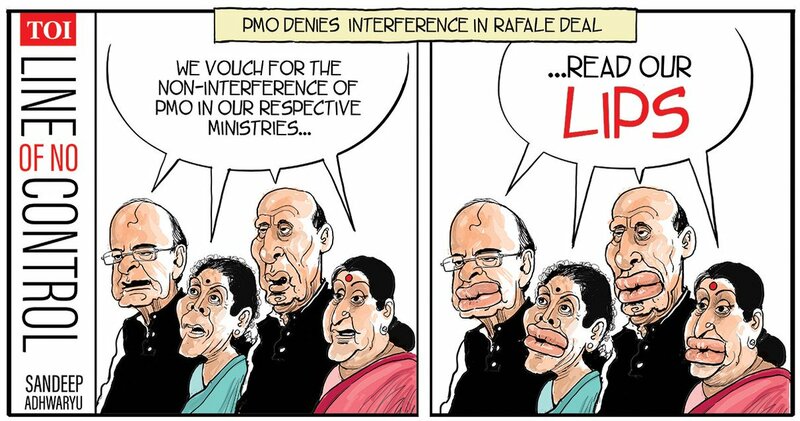 In The Times of India, Sandeep Adhwaryu weighs in on allegations that Prime Minister Narendra Modi’s shadow looms large over the four important ministries of Finance, Defence, Home and External Affairs. The cartoon comes in light of a report by The Hindu that, in 2015, there were concerns in the Defence Ministry over “parallel negotiations” on Rafale between the French defence minister’s office and the Prime Minister’s Office. 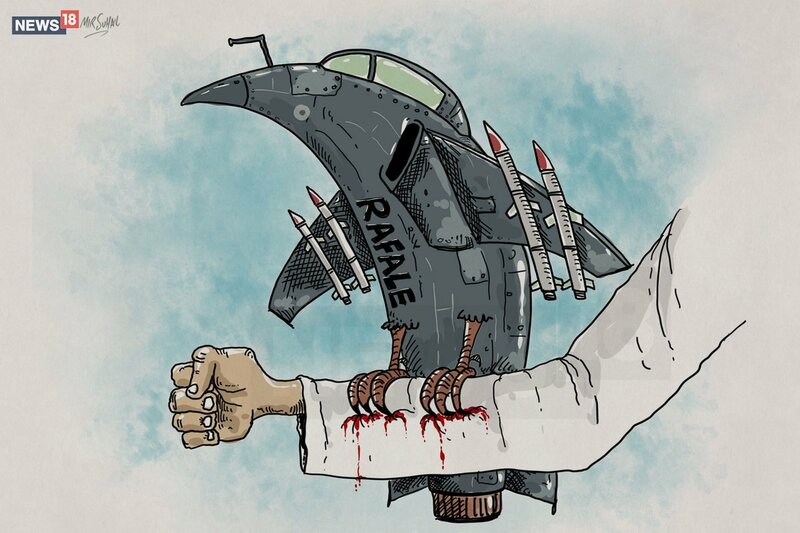 In News 18, Mir Suhail makes a point about the deepening row over India’s purchase of 36 Rafale fighter jets from France. 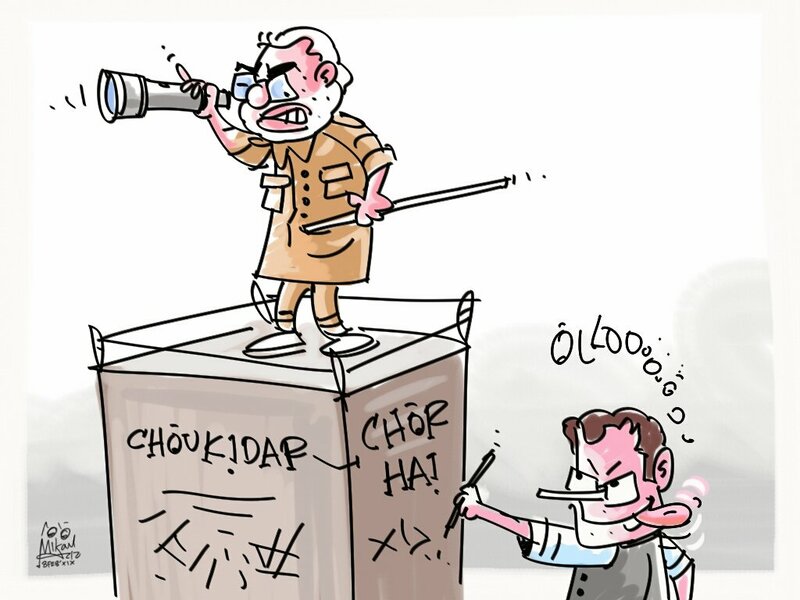 Mika Aziz | TwitterMika Aziz draws on PM Narendra Modi’s repeated reference to himself as a “chowkidar” or sentry, and Congress president Rahul Gandhi’s allegations of corruption against his government. 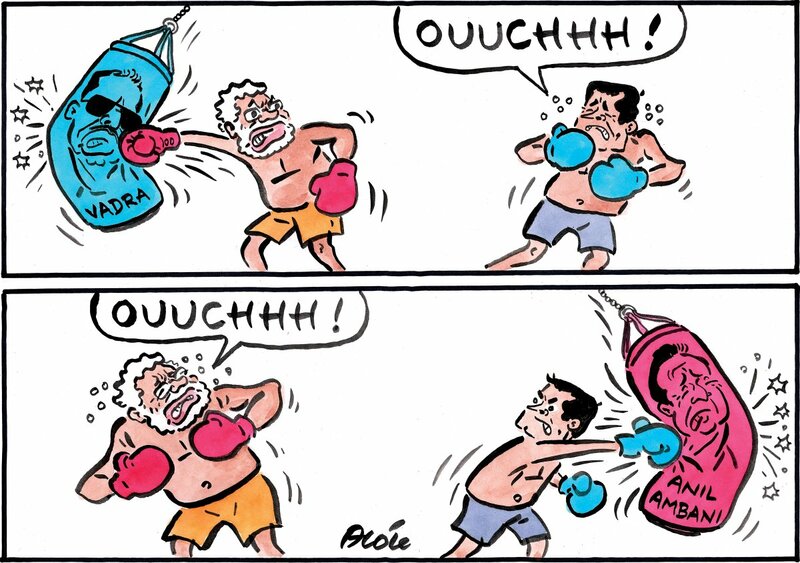 Businessman Robert Vadra was questioned by the Enforcement Directorate over allegations of money laundering this week, while Congress president Rahul Gandhi once again brought up industrialist Anil Ambani’s name as he lashed out at PM Modi over The Hindu “expose”. Alok for Sakal Media Group offers his take on the developments. 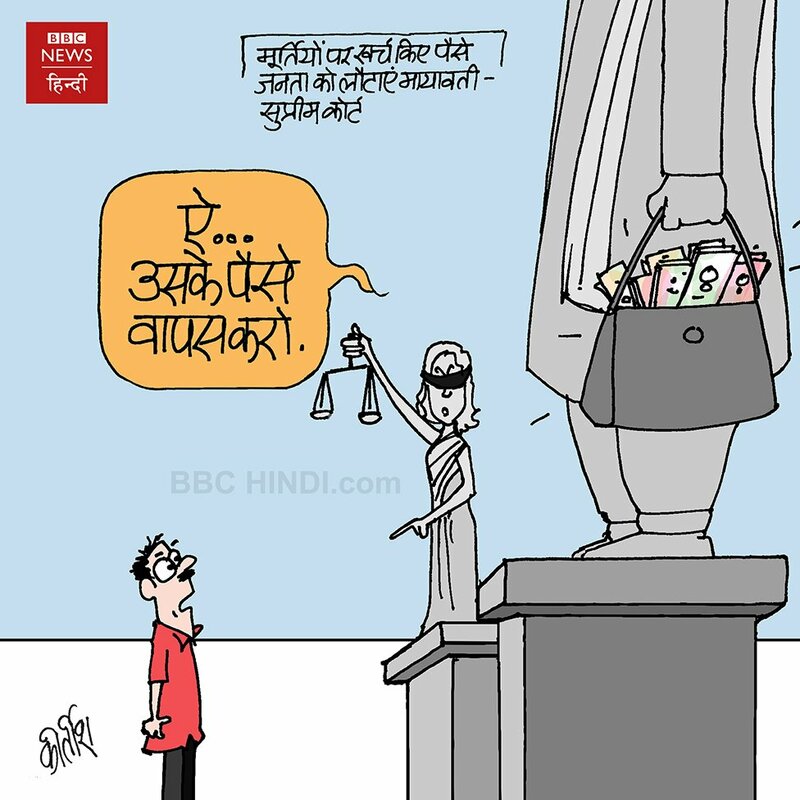 The Supreme Court said this week that it was of the “tentative view” that Bahujan Samaj Party (BSP) chief Mayawati should return the public money spent on building statues of her and her party symbol during her tenure as Uttar Pradesh Chief Minister. Kirtish Bhatt weighs in for BBC News Hindi. 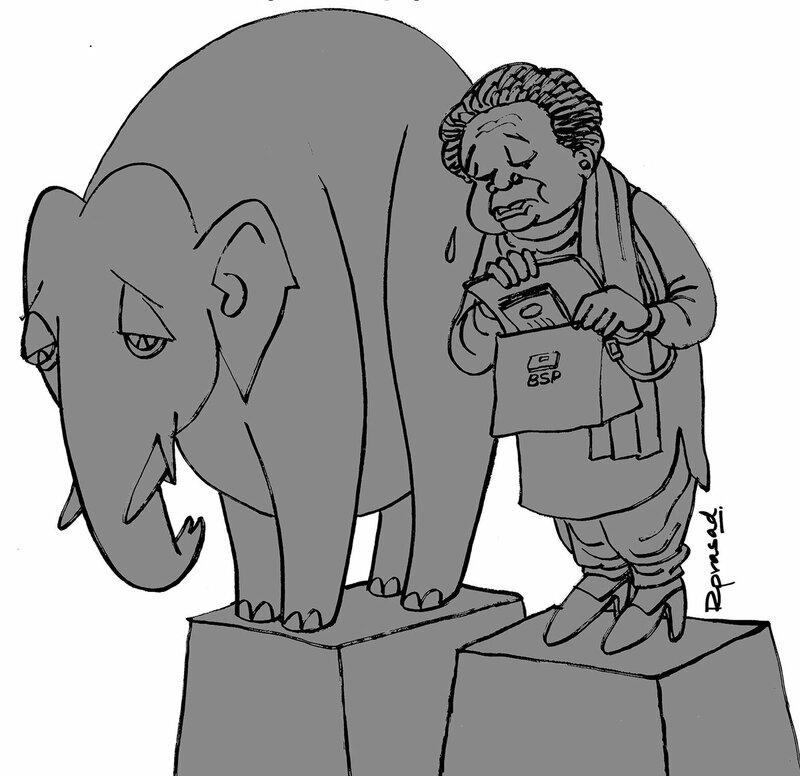 In The Economic Times, R. Prasad draws on the Supreme Court’s observations about Mayawati’s statues. 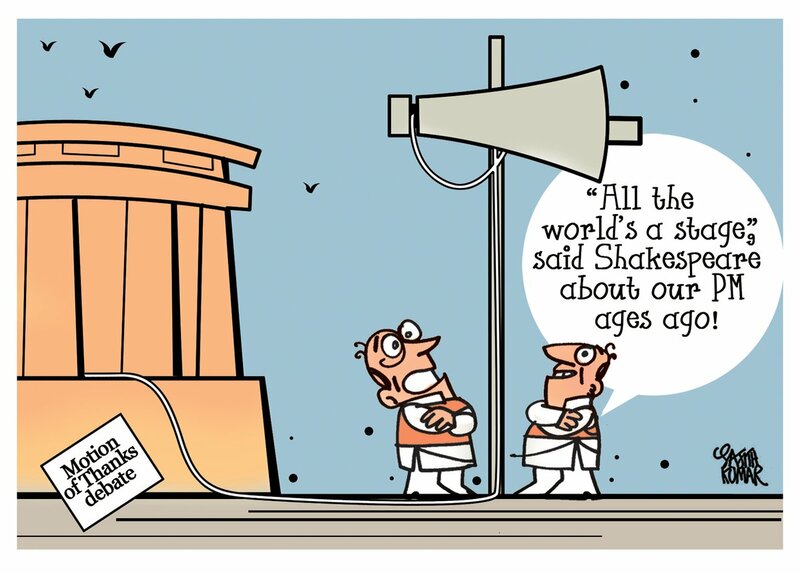 In Deccan Herald, Sajith Kumar offers his take on Prime Minister Narendra Modi’s speech in Parliament this week. As he replied to the motion of thanks to the President’s address, the Prime Minister had lashed out at the opposition, even reciting a Hindi poem to attack the Congress.